As of 1st November 2014 Colonel (ret) Ghazi Sadoun has rejoined as the team’s Director after having served in the team as a display pilot in the years 1996-1998 and chief pilot in the years 1998-2000 and 2003-2005. 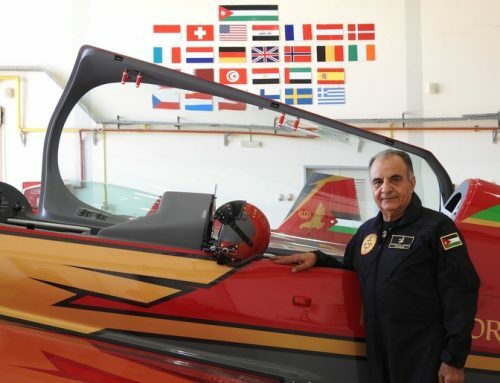 He has accumulated over 1000 flying hours on the Extra-300. 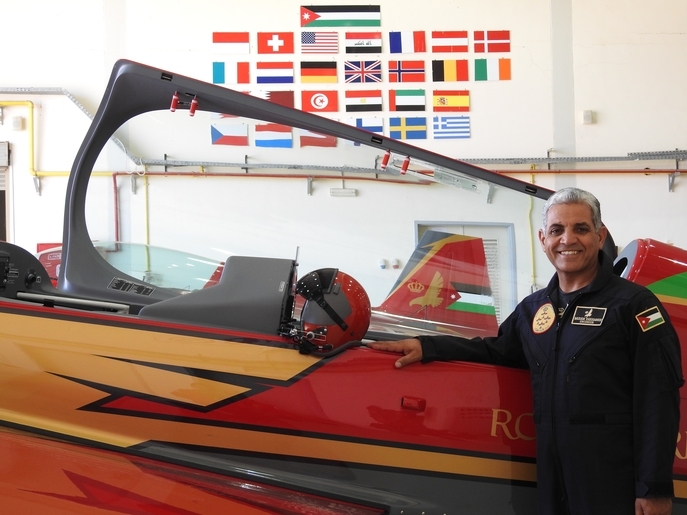 Ghazi Sadoun started his career in the Royal Jordanian Air Force back in 1986. He graduated as a fighter pilot on the F5 in 1989. Ghazi also graduated as a qualified flying instructor in 1994 and a tactical fighter instructor in 2001. He eventually converted and qualified as an instructor on the F16 in 2008. 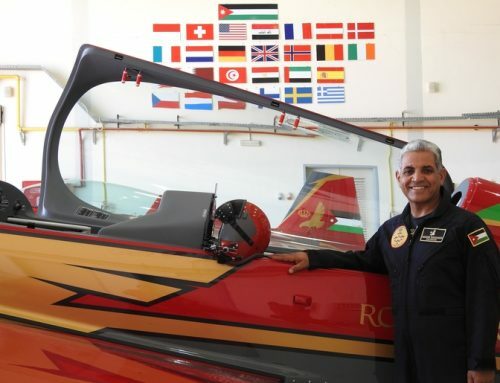 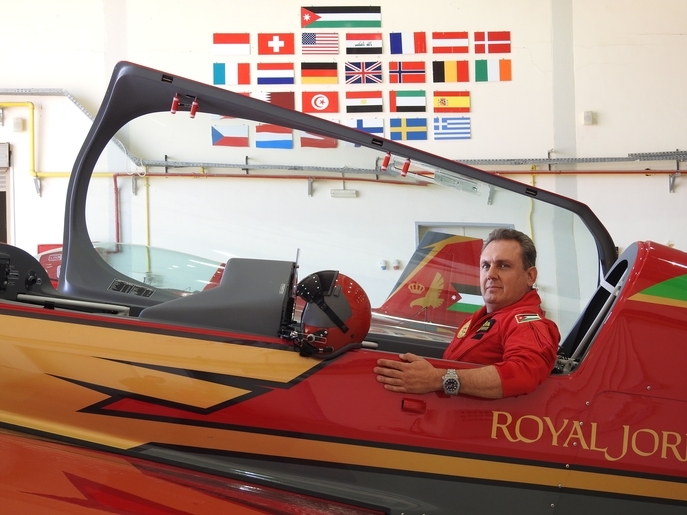 Ghazi retired from full time service in the RJAF in 2011 but continues to serve as a reservist and instructor pilot on the F16 in addition to his duty as Managing Director of the Royal Jordanian Falcons Aerobatic team. 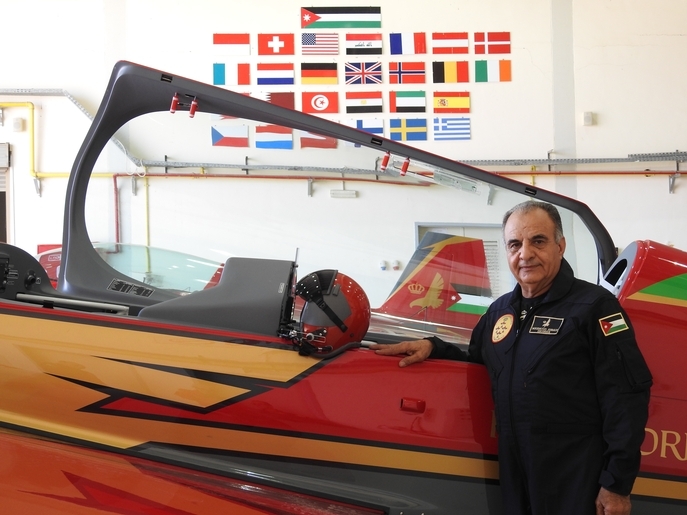 Ghazi has accumulated over 3500 grand total hours on the following aircraft: Bulldog, Casa-101, F5E/F, F16A/B/M and the Extra-300.